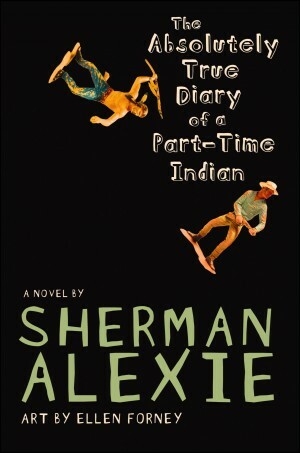 Sherman Alexie’s The Absolutely True Diary of a Part-Time Indian is under fire again, this time at a school in Las Vegas, Nevada. We learned of the challenge via a biased news report. Shateraka Hampton is upset that her 7th grade son is reading the book for an assignment at Democracy Prep at Agassi Campus, a charter school that uses True Diary to teach kids about racism. Hampton cited the mention of masturbation and a naked woman and the use of the “n-word” and “f-word” as reasons she was challenging the book, which she considers sexually explicit. Local ABC news affiliate KTNV picked up the story with a spot that emulates previous prejudiced reporting against challenged books. In addition to loaded language on the part of the reporter, the piece pulled out the “too explicit to show you” nugget and incorporated footage of the book with (supposedly offensive) passages highlighted throughout. The reporter also informed viewers that they “found out the book’s been banned in other school districts,” seemingly using that fact as tacit approval for further removal. In a failed attempt to maintain some semblance of balance, KTNV also spoke with a representative from the National Coalition Against Censorship, but gave her only a few seconds screentime and failed to identify her by name. We can confirm that it was Abenu Hutchful with the Youth Free Expression Program, who reminded viewers that parents can’t make reading decisions for everyone in a community. 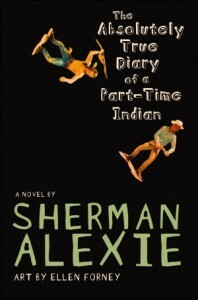 This young adult novel, which received the National Book Award for Young People’s Literature and was named one of the best books of 2007 by the School Library Journal, has been a successful and important part of our curriculum, as well as the curriculum of other successful school districts for several years. The novel’s thought-provoking themes include bullying, race, violence, and other issues relevant to young people today. If there are parent concerns, our principal is available to meet, to discuss, and if, appropriate, offer alternative texts. The school handbook describes both an informal and formal complaint process. The latter requires a submitting a written letter to the school leader, who then investigates and makes a decision. If the parent is dissatisfied, the issue can be appealed in writing to the Superintendent for adjudication and then once more to the Board of Trustees for final arbitration. In the meantime, Hampton’s son has been given an alternate assignment, and the school has offered to send her a full list of the reading assignments for the year. Help support CBLDF’s important First Amendment work and reporting on issues like these by visiting the Rewards Zone, making a donation, or becoming a member of CBLDF!